It’s time to give the AutoCrit treatment to another popular name in the industry, and this time, we’re diving into one of the world’s biggest-selling genres – romance! One of Amazon’s top five authors in the romantic fiction category, Nora Roberts has written over 200 novels, and enjoyed immense success and a passionate fan base throughout the course of her career. With AutoCrit’s ability to tailor reports based on genre – of which romance is one of the available options – we’re excited to put Nora’s first book in her Inn BoonsBoro Trilogy, The Next Always, through the AutoCrit experience. What does Roberts do best? On a stylistic level, where do this particular book’s strengths lie? Is there anything that could possibly be improved? If so, why? We’re about to find out. And so we ask… what’s the score? First off, we’re running AutoCrit’s summary report – grabbing an overall vision of where any problems may lie. If you’ve taken a look at other bestseller breakdowns such as our investigation of The Martian or The Hunger Games, you’ll notice that the scores are roughly similar for these fully-edited releases. While you might personally feel driven to get yourself as close as possible to a “perfect” 100, what we’re seeing is that successful popular fiction tends to gravitate around the 80 mark. So, once again, it’s worth bearing in mind that the goal when line editing is to stay true to yourself, and what you want from your story. Striving for the ultimate in perfection with your score is more likely to be procrastination than a worthwhile endeavor! Looking at the percentage spread in the fingerprint of The Next Always, we can see that the bulk of potential problems are to be found in the Strong Writing and Word Choice categories. Repetition trails a little behind, so that’s also worth a look. Before we get into those, though, let’s cast an eye over elsewhere — starting with Pacing and Momentum. Here we see that The Next Always has just 91 sentences that could be considered “long” — over 30 words. Looking at the bar chart, the distribution looks very similar to other bestsellers. The line graph, however, feels less energetic than we’ve seen before in other, more adventure-laden genres. That could be something specific to romance, though, which we’ll uncover in the future as we compare more titles. Still, the expected variation is there (the graph rarely looks flat), and given the mere 1.92% share in this category on the fingerprint, pacing doesn’t appear to be a problem for Roberts. On to dialogue tags… and straight away, you may be alarmed by just how much said and asked are outnumbered by alternatives! Break it down the word level, though, and you find that said and asked are still the most popular tags. Well, to figure this one out, we need to look at the manuscript itself. There, we find that The Next Always is a dialogue-heavy book. There is a lot of talking between characters — most of which goes entirely without dialogue tags. Roberts allows her conversations to bounce back and forth without tags, by switching to new lines as characters converse. It’s easy to follow, and thus there’s little need to continually tag dialogue, adding unnecessary words to the scenes. In practice, it works — but we can see that a few tags are overused, such as added, demanded, muttered, and commented. These do jump out at you straight away as potential “telling” markers, and something that is likely contributing to the high percentage share within the Strong Writing category. If you see similar in your manuscript, it would definitely be worth marking this one down as something to investigate during your developmental edit. Are you lowering impact by telling the reader too much, rather than showing them? Shifting to adverbs in dialogue, it’s pretty much a case of “nothing to see here!” Roberts might be using the tags themselves as a crutch, but she isn’t pushing it into dangerous territory by also shoving in adverbs and resorting to something as woeful as “he demanded, impatiently,” for example. This looks good for now, so let’s move to the meaty part — Strong Writing. How Does Your Book Compare? Click Here to Try AutoCrit Now! From the overall perspective of the adverb-o-meter, Roberts’ use of adverbs is well below average. Still, on the word level there’s some definite overuse. The word really is one that shows up time and time again for many authors, and Roberts is no exception. What could be worth doing, here, is a quick run through the manuscript to seek out instances of the word really inside of narrative prose. We know that The Next Always is dialogue-heavy, and so it’s probably a good guess that the vast majority of these marked words are going to be parts of character speech. If it’s part of the character, then that’s fine — it can stay. But we like quick wins around here, and a few of those are likely to be found by nixing really outside of dialogue. Ouch. This one might hurt. We’re deep in the red for showing, so it’s time to get to battle stations and see what’s going on at the word level. It’s always worth stressing that AutoCrit works best when treated as an advisory system. Just because something is marked for your attention doesn’t necessarily mean that you need to take corrective action. It’s entirely dependent on your particular manuscript; the context is unique to you. Here we can see that two very common words in the English language are marked: it and it’s. 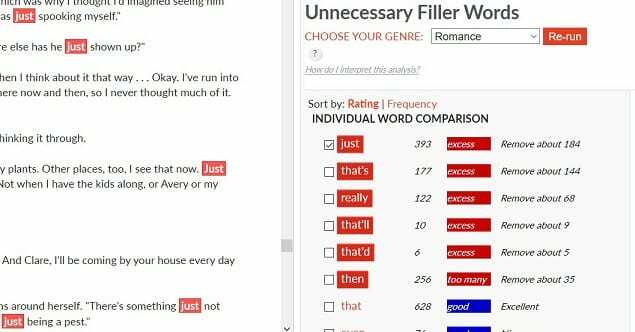 That’s solely because the Standout Fiction Algorithm has found that the total use of those words is above average for published fiction. It will also tell you how many to remove if you want to get within the average arena — but if doing so causes any problems with readability or narrative flow, then you should leave it as-is. Chances are, though, a good portion can indeed be excised. What need more attention here are, as always, the words that operate within the “feeling” arena, such as knew, saw, feel, and heard. Take the latter word, for example. You could tell the reader that someone heard something, or you could show them it happening, through the actions of your character. Showing is often the better, more involving choice. If you decide, after running this report, that some of the marked words should definitely stay, you can drop them into your Personal Words bank and exclude them from future reports. AutoCrit will then set these aside and generate a new total, helping you pick up on more hard-to-find issues. So this is where we’d dedicate some time to have a good dig in and tackle showing vs. telling with a fine comb. Given the overall summary score for the manuscript is within expectations, there may not be a huge amount to solve — but even minor polish is worth the effort. It’s only slightly above average, but on the word level we can see popular filler words raising their heads. Just and really are very commonly overused. Let’s bounce into the editor to see what’s going on in this particular novel. Remember when we said that The Next Always is dialogue-heavy? Yes, indeed — and most of the detected filler comes from the dialogue, too. Those two words, just and really, are spouted by the character nearly every other line. Sometimes multiple times in a single stretch. Now, this is where personal preference most definitely steps up to the plate. If we set aside the detected overuse in a statistical sense, it may be the case that Roberts is attempting to mirror the often repetitive and jumbled nature of common speech. But does that translate well to the written page? Not all the time. To put a critical hat on for a second, spending a little time with the dialogue here reveals characters that can feel wishy-washy because of the non-committal nature of their words. When they speak, things are really this and really that, and I just wish that this and it’s just that I that. Ultimately, it’s up to the author whether that’s how they want things to be — but this is just one example of how AutoCrit can pull potential developmental issues straight into the light for you. But it isn’t all doom and gloom, as Roberts skirts around clichés and redundancy like a pro. We’re in the red again when it comes to generic descriptions… and the words behind the redline are, again, ones that crop up a lot in narrative fiction. Good, look, and maybe are the top offenders here. As we mentioned earlier in our brief moment of critical opinion, these kinds of words are often non-committal and serve to dilute whatever is being said, rather than strengthening it. Given what we saw earlier with the filler words, there’s a chance here that these generic words are mostly being used in dialogue. Thorough investigation and honest appraisal is the only way to get to the bottom of this one, and determine whether the power of this story is being lessened. Then again, Roberts may be intentionally using this to fuel her emotional and romantic tone in a way that her audience appreciates. 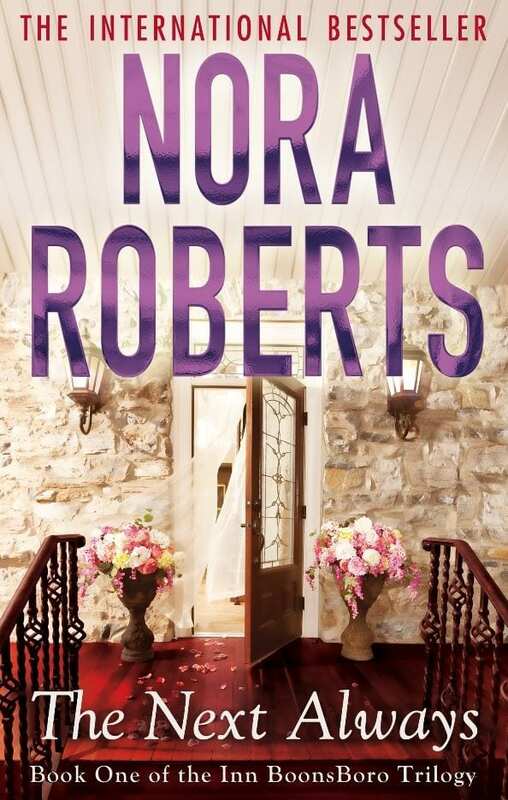 Repetition isn’t a worry for Nora Roberts, it appears, as the most frequently-used phrases throughout the book don’t register as anything of concern. Even those that are story specific don’t pop up often enough to be catch negative attention. Good stuff! Getting an overview of the most frequent words in the manuscript, we see character names up front — and that’s just fine. Out of all the words listed here, pretty and decided are the only ones we’d look at. The first, because it may be empty filler (for example saying something is “pretty big” instead of using a better description), and the latter because it could be indicative, once again, of telling and not showing. With sentence starters, we’re looking for conjunctions and/or -ING words that kick off a sentence. There’s nothing wrong with those, but using the same ones over and over again in succession can make for a poor narrative experience. With The Next Always, we find the most common of these sentence starters to be and (310 times) and but (202 times). Casting an eye over the manuscript shows these are well spaced out and do not contribute to any repetitive or off-putting reading, so top marks here. On the same topic, more than half of the sentences in the book begin with either a character name or a pronoun. This can be a problem if, just as with the previous starters, you’re using the same name or pronoun over and over again. Roberts has a good cast of characters and plenty of dialogue, here, so upon swinging through the manuscript it’s evident that this is okay — people refer to themselves when talking, or talk about other people, so names pop up regularly within this kind of romantic drama. Now let’s engage AutoCrit’s genre insight and switch the reporting to romance! What do we come out with? The overall score is a little more forgiving, but it’s interesting that the distribution of problem factors is exactly the same as it is under the standard fiction scan. That’s not something you see terribly often, but gives a notion that any core issues with The Next Always are fundamental — and thus, should be easy enough to polish up. As we’ve seen before, successful books do tend to stay within a small range when compared broadly and within their genre category. This one is no exception to that rule. And what about readability? 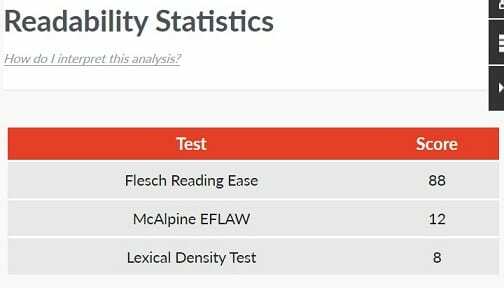 A Flesch Reading Ease score of 88 is excellent — right on the border of the simplest, conversational English that would be readable by an average 11-year-old. As we know, great adult fiction doesn’t have to be dense. The easier it is to read, the easier it is to sink into. So there we have it: plenty of food for thought regarding The Next Always, a romantic opus by Nora Roberts. What do you think? Have you read the book? Does our inkling that the characters may be letting things down a little ring true? Let us know in the comments below. And if there’s a book you’d like to see go through a bestseller breakdown, shout it out and we’ll add it to our shortlist! Can I just say this was so awesome to see. My first draft of my novel scored higher than this, but at the time I was devestated that it wasn’t in the high 90s. I went way down the “I’m a horrible writer” rabbit hole. This gave me confidence that my writing isn’t that bad and its cool that I am on the same level as a best selling author..lol. Love this, how about a Donna Tartt, The Secret History or The Goldfinch. A John Fowles perhaps, two of my revered authors. I put the final draft, hopefully, of my WIP through AutoCrit chapter by chapter, sometimes page by page, learn as I go and enjoy some high scores, which, no doubt, will drop ‘when’ I put the whole manuscript through. Keep up the good, Generic Word, work. Woop’s, cliche! *scribbles on shortlist* Thank you, Maureen! I’d love to see anything by Taylor Stevens: The Informationist, The Innocent, The Doll, The Catch, The Vessel, The Mask. She’s a craft fanatic and one of the finest wordsmiths out there. I’d love to see her scores. Thanks, Carol. Added these to the list! pretty interesting. I’ve probably missed some others you’ve done. Any classics? Hemingway… or whomever that are still around and can be looked at? I loved this! I’m still fairly new using Auto Crit but seeing you dissect Nora’s book taught me how much more I can use the summary report to improve my writing. I also am working on my first draft and thought I wasn’t doing well, but now I see where my strengths are, and where I need to focus on. I enjoy putting in my story one chapter at a time before I send it off to my Beta reader. I can’t believe I am enjoying editing my story. This was fun. How about Big Little Lies by Liane Moriarty. I can’t put it down. Would love to see how it scores. High five! That’s exactly what he want to achieve for every author, Lillian. Glad you’re feeling it. Big Little Lies has been added to the shortlist. For a true comparison, I would love to know just how many words these manuscripts are as well. This may be in there somewhere and I’m just missing it. I love this feature! My writing has dramatically improved because of AutoCrit. I now deliver a very clean first draft to my editor. I was like the others who responded here. My scores were in the 80s and I didn’t know if that was good or bad. Now you have given me much more confidence.Thank you for comparing to other successful mainstream novelists. I would love to see a breakdown of a James Patterson or Stephen King novel. We currently have Christine by Stephen King on the “to do” list, David, but if there are any of his other novels you’d like to see in particular, just let us know. We’ll also have a hunt for some Patterson! Why didn’t you show the Passive Voice analysis with this book? I noticed you didn’t do that with the Hunger Games either. This is an area of focus for me with my book, so I’d like to see how I stack up. Thanks! I would like to see J.R.R. Tolkien’s ‘The Lord of The Rings’ put through AutoCrit. Along with anything by Mark Twain. Specifically ‘A Christmas Carol’ by Charles Dickens. ‘War of The Worlds’ by H.G. Wells. And I’d love to see ‘Harry Potter Philosopher’s Stone’ by J.K. Rowling. This is terrific. I’ve working on a short story and got it into the 96% category. But, that had drawbacks. Shooting for the 80% makes me feel better. I learned a long time ago, the 80% solution is usually good enough as trying to get the other 20% was too costly. Thanks for this feature. What would be an average score for initial pronoun and name?